New Delhi: They say nurses always give people hope of life, late Shashi Bala Gupta, the retired nurse at Safdarjung hospital proved this right. 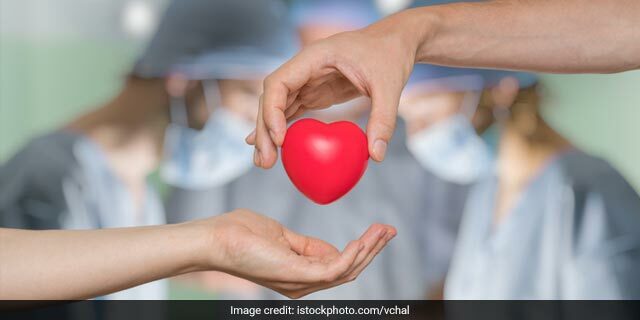 The 76-year-old Shashi Bala Gupta suffered an unfortunate cardiac arrest and irreversible brain damage in Dubai and was declared critical, she knew she may not survive, but that did not deter her. She was keen to donate her organs, including her skin. Her family fulfilled her last wish, on last Saturday Shashi was flown in from Dubai to New Delhi so that her organs can be donated. On Sunday, Shashi was declared brain dead at Max Hospital in Saket. Her liver saved life of a 55-year-old woman who was struggling with liver failure. While her corneas have been preserved and the skin has been sent to Safdarjung for grafting purposes for the burn patients. Shashi, always wanted to donate her skin, this decision was influenced by the struggles of burn patients which she had witnessed when she worked as a nurse. Not just that, even while Shashi was alive, she donated one of her kidneys to a family doctor and neighbour who suffered kidney failure in 1998, against her family’s will. There are not many out there like Shashi, her decision has saved many lives. Experts suggest a brain dead person can save dozen of lives, yet, in India, there are approximately 5 lakh people who die annually waiting for a transplant, despite their name being on the waiting list. The need for organ donors has never been greater. Yet, less than a thousand transplants from deceased donors are performed each year in our country. Also Read: Can Setting Up Of Organ Transplant And Retrieval Centres In Every District Change The Face Of Organ Donation In India? Shashi’s mantra, ‘While death takes you away, your organs can stay and save another life’ is definitely a leading example today. Even though she is no more, but her act of donation is driving home an important message on why there is a need to commit to the cause of Organ Donation.